Rachel R. asks: Who invented the computer mouse? Doug Engelbart is widely credited as the inventor of the computer mouse. Of course, as with most inventions, nothing happened in a vacuum and before the device that gave birth to the modern mouse was thought up, there were several exceptionally similar devices around. For the full story of the invention of the computer mouse, we’ll begin by backtracking slightly to a British engineer whose invention was subsequently classified as a military secret and hidden from the public. That engineer was Professor Ralph Benjamin who, while working for the Royal Navy Scientific Service, invented a device that functioned in an almost identical fashion to a trackball mouse way back in the mid 1940s. According to a 2013 interview with Dr. Benjamin, he was tasked by the Royal Navy with helping develop something called the Comprehensive Display System, an early computer system that could calculate the theoretical trajectory of monitored aircraft based on the inputs of a user. The cursor on the screen was controlled by a simple joystick mechanism that Benjamin felt could be improved. After some tinkering, he came up with something he dubbed the “Roller Ball” which functioned almost identically to a standard mechanical mouse, with an outer ball that would in turn manipulate two rubber coated wheels inside, one for the X axis and one for the Y. This movement was then translated into the appropriate movement of the cursor on the screen. So why don’t people say the good professor invented the mouse? 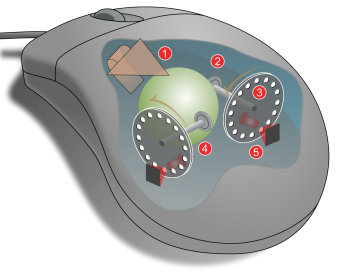 Beyond that it wasn’t Benjamin’s device that gave birth to the modern mouse, rather than having the desk or whatever object move the ball via friction as one moves the mechanical mouse, in Benjamin’s device, your hand simply directly moved the ball itself, with the top of the device exposing said ball- essentially it was a large, upside down, stationary mechanical mouse. Although Benjamin’s device was more precise than a joystick, it was never widely implemented and the Comprehensive Display System continued to be controlled by said joystick. Due to its status as a military secret, Benjamin received little to no credit for the invention of essentially a trackball mouse and he remains an obscure figure in computing history, despite the innovative nature of the device he pioneered. 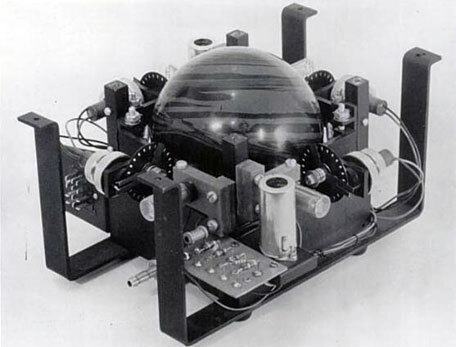 A similar device was also developed independently of Benjamin’s design in 1952 by a company, Ferranti Canada, working as contractors for the Canadian Defence Research Board. The company was, amongst other things, tasked with creating an input device for computers on a budget of “basically zero dollars”. Three engineers working for Ferranti, Tom Cranston, Fred Longstaff and Kenyon Taylor, came up with the idea of using a ball housed in a casing that remained in constant contact with four wheels positioned around it. When the ball was rolled in a given direction, the movement of the wheels would be translated to corresponding cursor movements on the screen- essentially this was a four-wheeled version of Benjamin’s device. As a testament to the low budget the engineers had to work with, rather than constructing a trackball from scratch, they simply used a 16 cm (about 6 inch) diameter five-pin bowling ball. Because the device was invented for the military, it too was designed in secret. Ironically, in one notable way these, and other similar trackball devices that were invented before the mouse, were more similar to the once ubiquitous ball version of a mechanical mouse than Doug Engelbart’s first mouse. You see, Engelbart’s mouse didn’t use a ball at all, instead having two perpendicular wheels directly contact the table instead of using a ball to manipulate said wheels. While still functional, Engelbart’s design had the downside of making it so one wheel was always at least partially being scraped along the surface of the desk. But we’re getting ahead of ourselves a little. 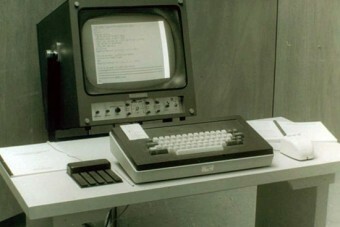 Engelbart developed what is the direct ancestor of the modern mouse in the 1960s as part of an ongoing project to discover the most efficient way to interact with a computer. Engelbart felt that the current devices in use at the time, mainly keyboards, joysticks and light pens, were inefficient. With the help of engineer Bill English (who designed the actual hardware for the first mouse based on Engelbart’s idea), he developed a handheld device that housed two perpendicular wheels the movements of which would control the on-screen cursor. Essentially, this more or less worked like an upside down, hand held version of the two previously mentioned stationary trackball devices, but without the ball. Engelbart thought up the idea for this device in 1961. The first prototype was created by English in 1964. In 1966, Engelbart and English approached NASA asking them to fund a study to determine which input device was the most intuitive and efficient for controlling a cursor. According to Engelbart, the devices proposed to be tested, besides the mouse, were the “light pen… tracking ball and slider on a pivot”. The space agency agreed and a series of tests were carried out. And so it was that, like so many other inventors before him, Engelbart did not receive the credit for his invention (initially), and Bill English even still receives little credit to this day. This, despite that fact that several years later English would go on to invent the mechanical mouse that featured a ball to control the X/Y wheels, which would become the general design of just about all mice until the rise of things like optical mice. Beyond receiving little credit, because Engelbart and English were working for Stanford Research Institute when they developed the first mouse, the eventual patent that was granted for it in 1970 didn’t belong to them. Thus, the pair got no money for their invention other than their normal paychecks. Stanford Research Institute reportedly did make some money off the patent before it expired in 1984, for instance reportedly profiting $40,000 ($130,000 today) when they licensed it to Apple. Speaking of Apple, the mouse as we know it today rose from obscurity thanks to Steve Jobs being Steve Jobs- i.e. finding an existing technology, hiring someone to copy it but with very subtle usability tweaks, geniously marketing it, and then later getting much of the public credit for it. In this case, in 1979, Jobs agreed to give Xerox a certain number of Apple shares in exchange for allowing him to come see what Xerox’s Palo Alto Research Center (PARC) was working on. [The Xerox mouse] is a mouse that cost three hundred dollars to build and it breaks within two weeks. Here’s your design spec: Our mouse needs to be manufacturable for less than fifteen bucks (about $50 today). It needs to not fail for a couple of years, and I want to be able to use it on Formica and my bluejeans. Apple’s first take on the mouse came bundled with the relatively obscure Apple Lisa computer. (This was named after Job’s daughter who he denied was his until 1987, despite that a paternity test confirmed Lisa was his daughter and she and her mother were living in poverty, while he simultaneously was naming Apple Lisa after her). This first Apple mouse featured a steel ball to drive the internal tracking wheels. The design was overhauled once again (notably using a rubber ball) for the more popular Apple Macintosh computer released in 1984 which became one of the first commercially successful devices to make use of a mouse. Microsoft also came out with their own mouse in 1983 for the PC, in-between Apple Lisa and the much more famous Macintosh 128K, but it was the latter that subsequently spurred the widespread adoption of the mouse. After the success of the Macintosh, other companies followed suit and the mouse became a staple of the personal computer. 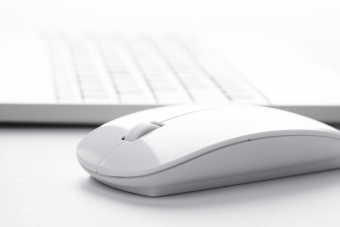 Despite many at various times over the decades since predicting that the mouse would go the way of the Dodo “any day now” (most recently because of the rise of the popularity of touch screens), the mouse is still going strong with seemingly no real end in sight. Besides calling the mouse a mouse, Engelbart and his colleagues called the cursor a “bug”. Obviously the latter name didn’t stick. As mentioned, despite Jobs to a certain extent himself being rejected by his biological parents, he did the same thing for a time to his first child, Lisa Brennan-Jobs. She was born in 1978 to Chris Ann Brennan, an ex-girlfriend of Jobs’ who got pregnant with Lisa when Jobs was dating someone else. Brennan told Jobs Lisa was his, but he refused to acknowledge his daughter, even while Brennan and his daughter were living on Welfare and a paternity test confirmed he was the father. By the time Lisa was 9, though, Jobs had decided to be her father and from that point on, the two were extremely close. He had three more children, Reed, Erin, and Eve, after marrying Laurene Powell in 1991. Jobs only learned he had a sister, famed author Mona Simpson, when he was an adult (himself having been given up for adoption and Mona not). Mona has the distinction of having a Simpson’s character named after her, Homer Simpson’s mother. Mona for a time was married to writer and producer Richard Appel, who named the character after her. Before this, Home Simpson’s mother was simply called “Mother Simpson”. In 1967, Engelbart and English came up with an invention that in tests proved to be “marginally” superior to the mouse. After noting that people driving cars were capable of surprisingly subtle movements with their foot, the pair theorised that a series of pedals mounted below a table could be used to control cursors. 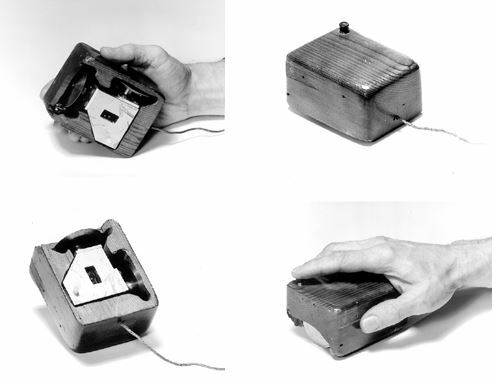 Though the prototype device they created outperformed their early mouse prototype, it was never pursued as a possible input device for computers. Other odd input devices considered included a knee brace and a device that was controlled by movements of the user’s head. When Jobs briefly worked for Atari, he was given the task of trying to reduce the number of chips in the arcade game Breakout as much as possible. The task was a bit over his head, but as he’d done before and would go on to do throughout his life, he demonstrated great business savvy and ability to exploit other people for his own gain by giving the job to his much more technically skilled friend, Steve Wozniak. He offered Wozniak 50% of his earnings from Atari for taking the job. Wozniak then did it, reducing the number of chips by an astounding 50, meaning the total earnings for the job were $5000 ($100 per chip removed was Atari’s offer). They then paid Jobs the agreed upon $5000 (about $27,000 today). Jobs proceeded to give Wozniak $350, telling him that Atari had decided to only pay Jobs $700 for the job. Ten years later, when Wozniak learned of what Jobs was really paid, he wasn’t upset, but said even if Jobs had told him at the time, he’d have been happy to have given Jobs the lion’s share of the earnings even though Woz did all the work; he knew Jobs needed money at that time and he was a friend. This would set a trend in their relationship- Woz doing the work and Jobs taking the credit and the lion’s share of the money. As Wozniak said, “Steve didn’t ever code. He wasn’t an engineer and he didn’t do any original design…” Another friend of Jobs’, Daniel Kottke, said, “Between Woz and Jobs, Woz was the innovator, the inventor. Steve Jobs was the marketing person.” But, to be fair, Jobs was one hell of a marketer and without him, Woz probably would have just had a nice career working at HP his whole life. Jobs even had to work at prying Woz away from HP even as their company grew, simply because Woz loved working there. I feel sorry for the author of this article. His absolute hatred for Steve Jobs is evident in numerous places throughout the text. I was surprised to find this to be the case — until I did a little sleuthing. I discovered that the author is ultra-left wing (having a old blog and a Facebook page that are filled with slime [filthy language, etc.]) … and I discovered that Steve Jobs was considered to be a conservative or libertarian of some kind, who would not support the typical (and often horrifically bad) liberal causes. I will be praying for the author of this article — and I urge other readers to do the same — because (for now) he is truly a lost soul. You’re saying that anyone who uses “filthy language” is ultra-left wing and then using that tenuous fact to support the notion that this is why the author in your opinion doesn’t like Steve Jobs? And then because of his/her foul language and supposed dislike of Steve Jobs, you conclude they’re a lost soul? I just… wow. Being a longtime unabashed Apple fanboy, I can say I think it’s pretty much universally accepted that Steve Jobs was an asshat. Brilliant at business and crazy intelligent, but not someone people who had to work with him regularly liked. He had a long track record of f-ing people over whenever it benefited him or his company. Strange that you mention the mouse cursor once being called a “bug”. My father, who worked at IBM in the 1980s, referred to the rectangular dotted area that appears when you hold down the mouse button on the desktop and drag to select icons as a bug, and that’s what I’ve always called it too. He also used to use that term for the dotted rectangle that would show when you moved a window around on the desktop to show you where the new placement of the window would be, before operating systems were powerful enough to just move the window real-time. I have no idea if those two things are related or if it’s just a coincidence, but it’s impossible to look up “computer mouse bug” and get any useful information on the subject.